PRIME MINISTER: I move that this Bill now be read a second time. Today, my Government gets on with the job of delivering on important commitments we made to Australians at the election. We are acting on the mandate we received from the Australian people. And we expect the Parliament to respect that mandate. We are at a critical juncture; the decisions we take today, the decisions of this Parliament, will determine whether we enable our children and grandchildren to enjoy the same standard of living that we do ourselves. I said during the election that we are focused on creating more and better jobs. We are committed to ensuring our workplace relations system delivers the best outcome for jobs, investment and growth, stops unions from abusing their power, and allows Australians to go to safe workplaces, without fear of intimidation or coercion. Today, I am implementing a vital legislative agenda, two elements of which were the very reason we went to the double dissolution election. This agenda advances our economic plan while protecting people’s rights. This first Bill the Government is introducing is the Fair Work Amendment (Respect for Emergency Services Volunteers) Bill 2016. It honors our commitment to doing all we can to protect Australia’s emergency services from a Union takeover. Australia’s proud tradition of volunteer firefighting is under threat. The actions of the United Firefighters Union of Australia have placed the Victorian Country Fire Authority in the position of having to choose between the best interests of its brave volunteers and conceding to the demands of the union. Unfortunately for the proud volunteers of the CFA, the Victorian Government has taken sides against them. For this reason, it is of paramount importance that the Commonwealth Parliament steps in to protect them. This is not a decision we take lightly. Obviously, there is a place for unions fairly to represent their members in Australia’s workplace relations system. However, the UFU continues to demand an unreasonable degree of control over the CFA and its volunteers. The former CFA Board repeatedly stated it was willing to reach a fair and reasonable agreement, but this call was ignored and the Victorian Government demanded that the CFA accede to the Union’s demands. The Victorian Emergency Services Minister resigned in protest. The CFA board was sacked by the Victorian Government. The CFA Chief Executive and the Chief Fire Officer resigned in protest. Even advice from the Chief Executive of Volunteer Fire Brigades Victoria that the proposed agreement will significantly impede fire season operations has not altered the intransigence. We will not allow selfless Australian volunteers to be undermined in this way. The Victorian Government has now hand-picked new appointments to the board to wave the agreement through. The government’s new Board reached agreement with the Union, having made some cosmetic changes to the agreement while not addressing the fundamental concerns of the volunteers. The agreement still contains discriminatory terms and still interferes with the capacity of the CFA to manage its volunteers in a range of areas. For example, the agreement mandates that a minimum of seven paid firefighters are dispatched before the paid firefighters commence firefighting operations. Volunteer Fire Brigades Victoria advise that this will have flow on effects for workload, operational and fire ground safety implications for volunteers. requiring that uniforms of volunteers cannot be the same as those provided to paid firefighters. ‘The Parliament recognises that the Authority is first and foremost a volunteer-based organisation, in which volunteer officers and members are supported by employees in a fully integrated manner’. ‘recognise, value, respect and promote CFA Volunteers, their families and employers for their contributions to the well-being and safety of the people of Victoria’. Given that the Government of Victoria has abdicated its authority on this matter and capitulated to the union, it is our duty to intervene to protect the efforts of our volunteers. The CFA volunteers are the heroes of our regional communities. They are everyday mums and dads committed to sacrificing their time to protect life and property. The Union is jeopardising their selfless goodwill. Volunteers are the lifeblood of organisations like the CFA. We simply cannot allow their hard work to be undermined. There is a lot at stake if we do not protect our volunteers. As the Chief Executive of Volunteer Fire Brigades Victoria Andrew Ford has pointed out; if we allow their role to be eroded and demeaned, volunteers will walk away and the CFA will be destroyed. This is why the Government announced during the election campaign that we will amend the Fair Work Act to stop this happening. This Bill will ensure that enterprise agreements cannot be used in a way that permits unions to exert power over the valuable contributions of volunteers. To do this, the Bill expands the definition of unlawful term in the Fair Work Act to include an ‘objectionable emergency management term’. require or permit a body to act other than in accordance with a law of a state or territory that imposes a duty, power or function on the body that could affect its volunteers. The Fair Work Commission will not be able to approve agreements that include such terms. Any such terms in an existing agreement will be legally ineffective from the day that the legislation commences operation. Actions taken under existing agreements before this time will not be affected. The amendments will also give volunteer organisations a voice, by providing them the right to make submissions to the Fair Work Commission about enterprise agreements covering certain emergency services bodies that could affect the volunteers that they represent. The amendments have been carefully drafted to only apply to firefighting and state emergency service bodies that are established under a statute, use volunteers and are covered by the Fair Work Act. They will not impact other volunteering organisations such as Surf Life Saving Australia or the Salvation Army. The Government has of course received the best expert legal advice to confirm the constitutional validity of these reforms, as we do for all Bills we bring to the Parliament. The amendments are simple, targeted measures and it is vital that we implement this solution quickly. We cannot afford to wait any longer. We must safeguard the tens of thousands of volunteers who protect our communities. In a national first, the Andrews Labor Government today announced a permanent ban on the exploration and development of all onshore unconventional gas in Victoria, including hydraulic fracturing (‘fracking’) and coal seam gas. The permanent legislative ban, to be introduced to Parliament later this year, will protect the ‘clean, green’ reputation of Victoria’s agriculture sector, which employs more than 190,000 people. This will provide much-needed certainty to regional communities. The decision ends the anxiety felt by Victorian farmers about the environmental and health risks associated with fracking and forms part of the government response to the 2015 Parliamentary Inquiry into Onshore Unconventional Gas in Victoria. This Inquiry received more than 1600 submissions, mostly opposed to onshore unconventional gas. It is clear that the Victorian community has spoken – they simply don’t support fracking. The Government’s decision is based on the best available evidence and acknowledges that the risks involved outweigh any potential benefits to Victoria. Our state is the nation’s top food and fibre producer with exports worth $11.6 billion. The permanent ban protects our farmers and preserves Victoria’s hard-won reputation for producing high quality food. Exemptions to the ban will remain for other types of activities that are not covered by the current moratorium, such as gas storage, carbon storage research and accessing offshore resources. Exploration and development for offshore gas will also continue. Until the legislation is passed by Parliament, the current moratorium on unconventional onshore gas exploration and development will stay in place. The Labor Government will also legislate to extend the current moratorium on the exploration and development of conventional onshore gas until 30 June 2020, noting that fracking will remain banned. We will undertake the most extensive scientific, technical and environmental studies in Australia on the risks, benefits and impacts of onshore gas. These will be overseen by an expert panel, headed by the Lead Scientist Amanda Caples, and will include farmers and industry, business and community representatives. Community group People for the Plains has appealed the Land and Environment Court decision that gave Santos a green light to operate its 'Leewood' coal seam gas (CSG) wastewater treatment facility near Narrabri and the world-renowned Pilliga State Forest. People for the Plains – represented by public interest environmental lawyers EDO NSW – argued in the Land and Environment Court that the Leewood facility is unlawful because it did not go through the proper assessment process before being approved. The NSW Department of Industry approved the facility in August 2015 as CSG exploration and without an Environmental Impact Statement (EIS) being prepared and without the public being given a chance to comment. On 1 August, the Land and Environment Court decided that the approval was valid. The facility can now begin operating, and is expected to treat up to 1.5 million litres of CSG wastewater every day and then use the water to irrigate farmland crops. An appeal was lodged in the Court of Appeal on Monday 29 August and is set down for first mention on 26 October. “Our client has not made the decision to appeal lightly. We have pored over the Land and Environment Court decision and have sought advice from expert barristers. We believe our client has solid grounds to appeal this decision,” said Sue Higginson, CEO of EDO NSW. Join Wanderlightly & Living Ocean for our monthly beach clean-up as we move along our local beaches keeping keep them Plastic Free. Please bring your own Gloves & bucket or bag to collect the trash in. Plan: We will clean from 10 then sort & record the collected trash for Tangaroa Blue. What to Bring: A bucket or bag to collect trash in & a pair of gloves to keep your mitts safe. Feel free to share this event & bring everyone you know, the more the merrier!! Department of Primary Industries (DPI) Senior Recreational Fisheries Manager, Cameron Westaway, said both species are sought-after native sportfish found in coastal rivers and lakes. “The annual zero bag limit for Australian Bass and Estuary Perch is in place from 1 June to 31 August in all rivers and estuaries, except in impoundments and in rivers above impoundments, to protect them during spawning,” he said. During the autumn and early winter both species migrate to the downstream sections of estuaries, where salinity levels trigger spawning activity. Australian Bass and Estuary Perch can be vulnerable to fishing pressure when gathered in these large spawning aggregations. Mr Westaway said the spawning period for these fish has now finished, with most returning to their spring and summer feeding ground higher up in the catchment. “From 1 September anglers can once again take these native species; however, they are reminded that strict bag limits do apply,” he said. A total bag limit of two Australian Bass or Estuary Perch per person or a combination of both with a possession limit of four is in place. Recreational fishers who are unsure of the fisheries rules should check before they go fishing. Fishing laws are designed to protect, conserve and improve our fisheries resources for our future generations. Information on freshwater fishing rules can be found in the NSWRecreational Freshwater Fishing Guide from DPI Fisheries offices, online, at fishing licence agents and at bait and tackle shops. Today the Turnbull Government tabled the Paris Agreement on climate change and the Doha Amendment to the Kyoto Protocol for Parliamentary and public scrutiny. Australia is seeking to ratify the Agreement by the end of this year. The Paris Agreement represents a turning point in the global transition to a lower emission future with more than 190 countries coming together to create this historic agreement. Under the Agreement, Australia will continue to set its own emission reduction targets in contribution to the international effort to hold the increase in the global average temperature to well below 2 degrees above pre-industrial levels. The Turnbull Government's suite of policies are working to reduce Australia's emissions without driving up electricity prices. Already the Emissions Reduction Fund has seen 143 million tonnes of emissions reduction. The Agreement is in our national interest. Our 2030 target of reducing emissions by 26 to 28 per cent below 2005 levels is in line with other developed economies and will halve our per capita emissions and reduce emissions by two-thirds per unit of our GDP. By 2020 nearly a quarter of our electricity will be from renewables – already 15 per cent of our households use solar energy, the highest proportion in the world. The Government will ensure the energy system remains affordable and reliable as Australia transitions to a lower emissions future. The CSIRO Marine Debris Team applied integrated research to identify the sources and distribution of marine debris at a national scale around Australia's coastline. By combining field data and laboratory analyses with oceanographic and ecological modelling, the team translated scientific information into effective policy and behavioural change, combining rigorous research with citizen science, outreach to government and media engagement. Roads and Maritime Services today welcomed the news the Ballina Koala Plan and Koala Management Plan have been approved. A Roads and Maritime spokesperson said this was a critical step in enabling the Woolgoolga to Ballina Pacific Highway upgrade between Broadwater and Coolgardie to proceed. “As part of the project’s Conditions of Approval, no major work could start in this section until the plans were approved,” the spokesperson said. The plans were carefully examined by the Federal Department of the Environment, including a Population Viability Analysis (PVA) for a 50 year timeframe examining the viability of the koala population in this area. 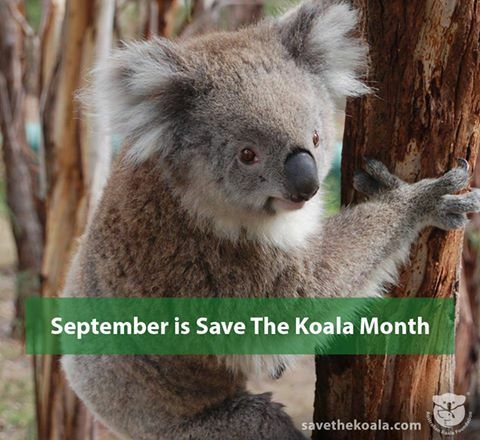 The PVA was the most extensive study ever carried out on koala populations along the highway and has added to the general body of knowledge about the koala. “Roads and Maritime takes the project’s Conditions of Approval seriously and works to minimise impact on all sensitive environmental communities while building a safer Pacific Highway,” the spokesperson said. The NSW Government has used an open and transparent process throughout the development of the Ballina Koala Plan, which was submitted for consideration in February this year. The decision is important as it will allow the upgrade of the Pacific Highway to be completed to four lanes of divided road between Hexham and the Queensland border, providing a safer journey for thousands of motorists each day. Roads and Maritime has committed to a range of important measures as part of the plans including completely closed fencing of the new highway between Richmond River and Coolgardie Road with improved fauna connectivity structures, additional fencing on the existing Pacific Highway and nearby local roads to further reduce koala deaths from road strikes. Key measures include about 26 wildlife crossings to be installed, substantially increasing safe crossing points compared to the current highway. About 130 hectares of koala food habitat will be planted to provide additional habitat and to guide koalas to safer crossing points across the highway. The koala food habitat will start to be planted early to ensure it is well developed in time for the highway’s planned completion by 2020 and would provide resources not currently available to the koala. Studies have shown this would not only offset a decline in the koala population, but even improve its future outlook when combined with the other measures. The plans took more than 15 months to prepare and involved more than 13 scientific, environmental and research organisations and academics, including the NSW Chief Scientist and Engineer Professor Mary O’Kane AC and leading koala experts. The principal task of the committee was to provide independent expert advice on the koala management on the Woolgoolga to Ballina upgrade. The committee had a particular focus on ensuring the Population Viability Analysis was scientifically robust and the full range of koala management options were examined. Key to acceptance of the plans was recognition the upgraded highway will provide numerous mitigation measures including animal crossings, fauna fencing and koala habitat trees which can contribute to management of the remaining koala population. “Roads and Maritime is committed to working with the community and stakeholders to protect wildlife along the Pacific Highway both during building and operation and we will continue to apply experiences and successes from other upgrade projects to ensure the highest level of biodiversity protection,” the Roads and Maritime spokesperson said. Data from the first comprehensive air quality measurement program in the Surat Basin is now available online for anyone to live-stream. CSIRO, through the Gas Industry Social and Environmental Research Alliance (GISERA), is leading a study which includes collection of air quality measurements through a network of five ambient air quality stations in the Chinchilla, Miles and Condamine region of Queensland. Specialised instruments are measuring a wide range of pollutants such as carbon monoxide, nitrogen dioxide, ozone and particles in the atmosphere. The data collected is streamed live to the Queensland Department ofEnvironment and Heritage Protection website. CSIRO atmospheric researcher Sarah Lawson said live streaming the data showed transparency of the data collection process. "The data is accessible to everyone which means local communities and the general public can stay informed about the air quality in the Western Downs region, how it compares to other parts of Queensland and how levels compare to the government's air quality standards," Ms Lawson said. The Air Quality Monitoring team within the Department of Science, Information Technology and Innovation (DSITI) will be responsible for publishing the air quality monitoring data on the DEHP website. Queensland Minister for Innovation, Science and the Digital Economy, Leeanne Enoch said this was a great example of scientific collaboration between CSIRO and Queensland Government. "Hosting the live air quality data from coal seam gas regions to local community and people of Queensland is a great way to show transparency and build confidence in the research that is taking place," Ms Enoch said. An air quality model will also be used to explore the degree to which different emission sources in the Surat Basin contribute to the levels of air pollution. The model includes a variety of natural and man-made emission sources including the CSG industry, power stations, mines, livestock production, motor vehicles, bushfires, and vegetation. By running the model with different emission sources switched on and off, the degree of contribution from sources, including the CSG industry can be investigated. The model will also provide an understanding of the distribution of pollutants over a much larger area than can be determined by fixed monitoring stations. "Both the air quality data and modelling results can be used by government to inform policy and regulations around CSG development and by industry to focus on improving practices that reduce emissions of pollutants" Ms Lawson said. GISERA is a collaborative vehicle established to undertake publicly-reported independent research addressing the socio-economic and environmental impacts of Australia's natural gas industries. The governance structure for GISERA is designed to provide for and protect research independence and transparency of funded research. Visitwww.gisera.org.au. Greater Sydney Local Land Services 2016 Community Landcare Grants are now open! Grants of $5,000 - $30,000 over 18 months are available for community groups, including Landcare and other 'care' groups and landholders in the Greater Sydney region. Applications open today Monday 8th August 2016 and close Monday 12th September 2016. • Projects that aim to maintain and improve ecosystem services through sustainable management of local and regional landscapes.Activities funded may include weed and pest control, bush regeneration, erosion management, fencing, plant propagation and revegetation, actions that protect for threatened species, development of management plans, community participation and engagement activities and training that contribute to the protection and restoration of ecosystem function, resilience and biodiversity. • Projects that aim to build community awareness, participation, skills and knowledge in caring for their environment, including Aboriginal knowledge and participation. Activities funded may include the delivery of workshops, training courses, awareness raising events, booklets, signage, media and other activities designed to build awareness, improve skills and knowledge and/or promote the conservation and enhancement of biodiversity. To discuss project ideas or to find out more please feel free to contact Council's Bushcare Officer on 9970 1367. Tasmanian devils are evolving in response to a highly lethal and contagious form of cancer, a Washington State University researcher has found. Andrew Storfer, WSU professor of biology, and an international team of scientists discovered that two regions in the genomes of Australia's iconic marsupials are changing in response to the rapid spread of devil facial tumor disease (DFTD), a nearly 100 percent fatal and transmissible cancer first detected in 1996. The work, published in Nature Communications, suggests some Tasmanian devil populations are evolving genetic resistance to DFTD that could help the species avoid extinction. Additionally, the genomic data will support future medical research exploring how animals evolve rapidly in response to cancer and other pathogens. "Our study suggests hope for the survival of the Tasmanian devil in the face of this devastating disease," Storfer said. "Ultimately, it may also help direct future research addressing important questions about the evolution of cancer transmissibility and what causes remission and reoccurrence in cancer and other diseases." Tasmanian devils are the largest carnivorous marsupials in the world and an integral part of Australia's natural heritage. Devils display significant aggression toward one another, which often involves biting on the face. This sometimes transmits DFTD, one of only three known forms of transmissible cancer and by far the most deadly. Twenty years since its discovery, DFTD has wiped out an estimated 80 percent of devils in Tasmania, the only place in the world where the animals live. By comparison, canine transmissible venereal tumor, a sexually transmitted form of cancer that only affects dogs, has been around for at least 11,000 years and is generally not fatal to domesticated animals. Despite models that predicted extinction, populations of Tasmanian devils at long-diseased sites persist. Storfer, an evolutionary geneticist who has studied DFTD for nearly a decade, teamed up with colleagues in the United States, Great Britain and Australia to investigate whether there was a genetic component to some of the devils' survival. "If a disease comes in and knocks out 90 percent of the individuals, you might predict the 10 percent who survive are somehow genetically different," said study co-author Paul Hohenlohe, assistant professor of biology at the University of Idaho. "What we were looking for were the parts of the genome that show that difference." The researchers mined a vast trove of devil DNA collected and stored before and after the outbreak of DFTD by wildlife ecologist and associate professor Menna Jones, study co-author, and her research team at the University of Tasmania. The frequency of genes in specific regions of the old DNA were compared to the frequency of genes in corresponding regions of DNA collected following DFTD emergence at three sites on Tasmania. Storfer and colleagues identified two small genomic regions in the DNA samples from all three sites that exhibited significant changes in response to the strong selection imposed by the disease. Five of seven genes in the two regions were related to cancer or immune function in other mammals, suggesting that Tasmanian devils are indeed evolving resistance to DFTD. The researchers are in the process of determining the specific functionality of the genomic regions identified in the study. They are hopeful that disease free devils with the apparently DFTD resistant DNA can be bred to enhance the genetic diversity of an off-island captive insurance population in case devil reintroductions are needed in the future. Below is the Fishcare Volunteers’ upcoming Walks and Talks which might be of interest to readers. We have been offering this free service now for about 15 years. Most days see somewhere round 30 people, young and old, and we even get people from places like Auburn and further afield. I add my bit as a former Australian Museum person and we also have a geologist to talk about the landward side of Long Reef. We’re dictated by tides, hence the irregular times, but always on a Sunday. Long Reef Aquatic Reserve, on Sydney’s northern beaches is a unique environment due to its geology and exposure to all four points of the compass. Protecting a huge variety of marine animals, birds and plants, it’s a great place to enjoy learning about our natural environment. Department of Primary Industries NSW Fishcare Volunteers offer free, guided, educational walks onto the rock platform where in just two hours you’ll observe some of the vast variety of marine life. You’ll also gain an understanding of the geographical features of the area, look at trace fossils and learn why some migratory birds travel tens of thousands of kilometres from Siberia and Japan to spend time at Long Reef. • ensures that the water quality requirements for oyster growing are considered in the State's land and water management and strategic planning framework. The NSW Oyster Industry Sustainable Aquaculture Strategy (OISAS) is the key management and policy document for the NSW oyster industry. • Streamlined approval for oyster leases in Priority Oyster Aquaculture Areas. The OISAS was first gazetted in December 2006 and has now been revised and updated. The 2016 Draft OISAS is on public exhibition for 14 days fromWednesday 31 August until Tuesday 13 September 2016. To view the 2016 Draft OISAS online, visit the DPI Website. NSW Department of Primary Industries (DPI) has released ground breaking results of a large scale analysis of the status of fish communities and threatened fish species distributions across NSW, which will feed into future strategic natural and land use planning programs. NSW DPI Aquatic Ecosystems Program Leader, Marcus Riches, said the NSW Fish Community and Threated Species Distribution Project provides insight via state-wide, fine scale maps which identify the status of fish communities and where threatened species are known and likely to occur. “Fish and fish habitats underpin the productivity of our State’s fisheries resources, and their status or health is a good measure of how we are managing our broader landscapes,” said Mr Riches. “The Fish Community and Threatened Species Distribution Project is part of a broader approach to recognise the importance of scientific data to inform and guide strategic regional planning processes. The project consolidates 20 years of data from biological surveys and, combined with complex species distribution modelling, provides insight into key fish communities. A state-wide map indicates the status of fish communities across NSW, as well as individual species distributions for most of our freshwater threatened species. “DPI research staff have already applied the results to determine the potential location of the threatened southern pigmy perch and combined with state of the art E-DNA testing to eliminate the potential of pest species threats, have been able to identify critical refuge areas in need of protection. “In partnership with LLS we have now put measures in place to ensure these refuge areas are protected from incursions of redfin,” Mr Riches said. This work in the future will contribute to a strategic planning framework, which will integrate aquatic biodiversity considerations into planning processes. The project findings will provide a significant contribution to development planning and assessment processes, threatened species recovery actions, ecosystem rehabilitation, water management and future research endeavours. Funding for the project is from the National Partnership Agreement on Coal Seam Gas and Large Coal Mining Developments. Visit Threatened species distributions in NSW for maps and accompanying reports from the NSW Fish Community Status Project. While it is widely accepted that songbirds originated from the Australian continent, how and when they diversified and colonized the rest of the globe has remained a mystery. Researchers from the University of Kansas, Louisiana State University and three other institutions reconstructed the evolutionary history of songbirds using thousands of DNA sequences from majority songbird lineages and information from the fossil record to provide answers to these questions. They found that songbirds began diversifying about 33 million years ago and underwent extensive diversification in Australia. Furthermore, the researchers also found that songbirds first dispersed out of Australia about 23 million years ago through early islands in the Indonesian archipelago into Asia and subsequently the entire globe. This new research will be published in Nature Communications on Aug. 30. "One of the challenges with deciphering songbird evolutionary history is that they diversified so rapidly that previous studies had a difficult time estimating the branching pattern of the songbird family tree," said lead author Rob Moyle, KU professor of ecology and evolutionary biology and curator of ornithology at the KU Biodiversity Institute. "With advances in DNA sequencing technology, we were able to collect an unprecedented amount of DNA sequence data that helped clarify songbird relationships." Songbirds comprise the largest group of birds, with about 5,000 species, accounting for nearly half of avian diversity. They are found on almost all corners of the globe, with the exception of Antarctica, and include the familiar crows and sparrows, as well as elaborate singers like mockingbirds and lyrebirds. With a better understanding of the songbird family tree, Moyle and his colleagues were able to infer the colonization history undertaken by songbird ancestors. The dispersal of songbirds from Australia through Indonesia, Moyle said, seems like an obvious explanation to anyone who knows world geography; but one has to bear in mind that tens of millions of years ago, world geography looked a lot different because of the Earth's constant process of plate tectonic movements. "Thirty-three million years ago, Australia was thousands of kilometers away from any continent, and New Guinea barely existed," Moyle said. Another issue confounding our understanding of songbird evolution is the estimated age of the group, said co-lead author Carl Oliveros, a postdoctoral researcher at Louisiana State University. "Our estimate for the age of songbirds is about half of most previous estimates, placing songbird evolution in a very different geological landscape than previously thought," said Oliveros, who earned his doctorate in ecology and evolutionary biology at KU. "Thus the previous hypothesis of long-distance dispersal by songbirds from Australia to Africa via Indian Ocean landmasses are put into question because these Indian Ocean islands were submerged by the time we think songbirds diversified." Oliveros' and his colleagues' work also provides an alternative explanation to the high diversity of songbirds that are presently found only in New Guinea. Previous research suggested that songbirds diversified extensively in proto-islands of New Guinea before colonizing adjacent areas. However, Oliveros and his colleagues believe that songbirds underwent extensive diversification in Australia and subsequently colonized New Guinea after the formation of the New Guinea landmass. They suggest that the aridification of Australia caused the extinction of forest-adapted songbird lineages in the continent, which left relicts of the first colonizers as sole surviving lineages in New Guinea. According to the researchers, this idea is supported by the presence of fossils in Australia of plants and mammals that are currently only found in New Guinea. The study used tissue samples of birds deposited at the KU Biodiversity Institute collected from expeditions to 25 countries within the past 25 years. This research is supported by funds from the National Science Foundation, KU and Louisiana State. The above is reprinted from materials provided by University of Kansas. Associate Professor Vickie Bennett (left), Professor Allen Nutman (centre), and Dr Clark Friend (right), examining the rocks in Greenland. In an extraordinary find, a team of Australian researchers have uncovered the world's oldest fossils in a remote area of Greenland, capturing the earliest history of the planet and demonstrating that life on Earth emerged rapidly in the planet's early years. Led by the University of Wollongong's (UOW) Professor Allen Nutman, the team discovered 3.7-billion-year-old stromatolite fossils in the world's oldest sedimentary rocks, in the Isua Greenstone Belt along the edge of Greenland's icecap. The findings are outlined in a study published in Nature, with co-authors Associate Professor Vickie Bennett from The Australian National University (ANU), the University of New South Wales' (UNSW) Professor Martin Van Kranendonk, and Professor Allan Chivas, from UOW. The discovery of the Isua stromatolite fossils provides a greater understanding of early diversity of life on Earth and researchers said could have implications for our understanding of life on Mars. Professor Nutman, from UOW's School of Earth and Environmental Sciences, said the Isua stromatolite fossils predated the world's previous oldest stromatolite fossils -- which were found in Western Australia -- by 220 million years. The discovery pushes back the fossil record to near the start of Earth's geological record and points to evidence of life on Earth very early in its history. The Isua stromatolites, which were exposed by the recent melting of a perennial snow patch, were laid down in shallow sea, providing the first evidence of an environment in which early life thrived. For much of Earth's history, life was just single cells, and stromatolite fossils are mounds of carbonate constructed by these communities of microbes. "The significance of stromatolites is that not only do they provide obvious evidence of ancient life that is visible with the naked eye, but that they are complex ecosystems," Professor Nutman said. "This indicates that as long as 3.7 billion years ago microbial life was already diverse. This diversity shows that life emerged within the first few hundred millions years of Earth's existence, which is in keeping with biologists' calculations showing the great antiquity of life's genetic code." Co-lead investigator Associate Professor Vickie Bennett, from ANU, said this study provided a new perspective into the history of Earth. "This discovery turns the study of planetary habitability on its head," Associate Professor Bennett said. "Rather than speculating about potential early environments, for the first time we have rocks that we know record the conditions and environments that sustained early life. Our research will provide new insights into chemical cycles and rock-water-microbe interactions on a young planet." Professor Martin Van Kranendonk, Director of the Australian Centre for Astrobiology at UNSW, of which Professor Nutman is also an Associate Member, said it was a groundbreaking find that could point to similar life structures on Mars, which 3.7 billion years ago was a damp environment. "The structures and geochemistry from newly exposed outcrops in Greenland display all of the features used in younger rocks to argue for a biological origin," Professor Van Kranendonk said. "This discovery represents a new benchmark for the oldest preserved evidence of life on Earth. It points to a rapid emergence of life on Earth and supports the search for life in similarly ancient rocks on Mars." The investigation, conducted by the Australian science team in collaboration with a UK partner, was funded by a grant from the Australian Research Council. An unnatural balance of nutrients threatens biodiversity in a survival of the fittest scenario, according to the results of a world-first global experiment published in the journal Nature. Professor Jennifer Firn, from QUT's Science and Engineering Faculty, is part of a global network of researchers who have tested the impact increased nutrient levels is having on grasslands across six continents. The article is titled "Addition of multiple limiting resources reduces grassland diversity" and was led by Professor Stan Harpole from UFZ and iDIV, Germany. "As part of the Nutrient Network, researchers tested the Charles Darwin 'entangled bank' observation which is used to explain how species can coexist even if they require the same limiting resources. "This theory explains the mechanism of how a number of species should be competing for resources when they are actually coexisting because of the subtle differences in their resource needs. "But what we found was that if you change the limiting resources and add an abundance of resources such as nutrients like phosphorus, nitrogen and potassium, it will lead to a favouring of some species over others because competition is then shifted above ground for light. "This will in turn evoke competition between species, leading to one species dominating the land area." The experiment was conducted across 45 grassland sites spanning the multi-continent Nutrient Network. Professor Firn said the human influence on the nutrient cycle through greater globalisation, was having a damaging effect on ecosystem biodiversity. "The loss of diversity was not driven by the addition of any single added resource for example nitrogen or potassium, we found greatest diversity loss occurred with the addition of a combination of two or more resources," she said. "Simply put, the more nutrients, the less biodiversity." She said many of the ecosystem functions that humans need to survive were provided by richly diverse ecosystems, such as oxygen production, water filtration, nutrient cycling, pollination, and carbon sequestration. "The irreplaceable loss of native biodiversity is accelerating at an alarming rate globally," she said. "What this research does is provide tangible evidence that global change is driving environmental conditions beyond our planetary boundaries." The Nutrient Network is the only collaborations of its kinds in which individual researchers have set up the same experiments at sites around the world. It is coordinated through the US-based National Science Foundation's funding to biologists Prof. Elizabeth Borer and Prof. Eric Seabloom of the University of Minnesota. What's Hiding Behind The Trapdoor? Australia is known as a country full of deadly creatures - now people have trapdoor spiders hiding in their backyards. The mysteriously elusive creatures are hiding in most forests in Brisbane and are tucked away in national parks throughout the state of Queensland, Australia. PhD student Jeremy Wilson recently returned from a mission with the Queensland Museum to collect new specimens for its upcoming Wild State display, while also uncovering species of golden trapdoor spiders in common or remote parts of the state from Fraser Island to Cape York. 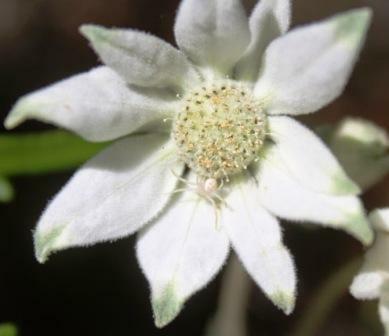 Mr Wilson has even found new spiders in Lamington National Park in the Gold Coast Hinterland, species that build intricate traps near Gympie and others around the Capricorn Caves in Rockhampton. Because trapdoor spiders spend most of their life underground their true number and diversity has been a bit of a mystery. Just four species of golden trapdoor spiders are known in southeast Queensland, but Mr Wilson says he's identified at least 10 more in that area alone. "We believe there are many more undiscovered species out there," he says. "The really cool thing about them is that they're really long lived and they don't move much, they live in these holes their entire life. "What that means is it's really easy for populations to become isolated and become new species." While some people's first instinct is to swat a spider away, Mr Wilson says these guys have an important role to play in the ecosystem. The big female trapdoor spiders are likely to be the top invertebrate predator in their ecosystem. Because populations are so dense, there can be a lot in a very small area which means whole populations could be wiped out by clearing a patch of forest. "In Australia especially there is so much that is still unknown about them," Mr Wilson says. "When they do conservation planning they need to know what's there. With only four species of so many potentially, these trapdoor species are in danger of going extinct before we even know they exist. "The key thing to highlight is that predators are crucial to ecosystems as they control the population of all organisms at lower levels of the food chain." Because they stay so well hidden, their danger is somewhat unknown but with 1cm fangs on some, there is potential to do serious damage. Mr Wilson has become good at spotting the traps and handling the "aggressive" spiders. "You have to be very careful with the spiders and if they're in a bad mood you don't pick them up. If you hesitate that's when it will bite you." Mr Wilson wants to delve further into how the species and its trapdoors have evolved. "If we know why evolution occurs and why different species occur then we can predict how things like climate change and deforestation could affect these spiders in the future. "There's so much work that needs to be done and it's important work because these spiders get overlooked. They live in trapdoors and no one sees them." The above is reprinted from materials provided by Griffith University. A new format for the Warrumbungles Crooked Mountain Concert will see some of Australia’s up and coming country, rock and bluegrass artists perform at the signature Coonabarabran event on Saturday 5 November. Coonabarabran National Park Visitor Centre Manager May Fleming said the concert was one of the region’s longest running community festivals. “The Crooked Mountain Concert has always featured a range of genres from the jazz tones of James Morrison to rock acts like year’s Boom Crash Opera. “This year we’re delighted to have a really unique act in “The Pigs” leading an entertaining line up of artists. “If you’ve never heard The Pigs unique way of performing well known pop songs in a toe-tapping hill billy style, then you’re in for a great surprise. “Fresh from performances at Vivid Sydney and the Gympie Muster, The Pigs will be joined by Byron Bay Bluesfest openers Ivy as well as Golden Guitar nominee Mickey Pye, the tight harmonies of Bathurst duo Smith and Jones and local favourite Annie McKinnon. “It’s a fresh line up and will continue our tradition of delivering great music in the phenomenal setting that is the Warrumbungle National Park, just designated as Australia’s first Dark Sky Park. “We plan it with families in mind and there will be kids activities, local produce and non-alcoholic drinks available to purchase, visitors can also bring along their own picnic rugs, chairs, food and alcohol and of course camping is also available. “This year we have been able to lower the ticket price to just $55 per adult, $50 Concession, $20 child (15 – 5 years) and under 5s are free,” Ms Fleming said. Bus tickets from Coonabarabran and camping can also be purchased from the visitor centre. The Department of Planning and Environment has given the green light for the final stage of remediation at Barangaroo. Contaminated tar and groundwater under Hickson Road at the former Millers Point gasworks site will be cleared up, following approval from the Department. The Environment Protection Agency (EPA) declared land at the former Millers Point gasworks to be in need of remediation in 2009. The Department approved the staged remediation of the other parts of the EPA declaration area over the last two years. Remediating the site will remove contaminated materials from the site and improve the safety of the area. • a Green Travel Plan to support workers getting to the site via public transport. Lendlease has received approval to remediate the area using either onsite or offsite treatment techniques. ‘Onsite in-situ’ treatment involves injecting chemicals under the road through wells to treat the contamination. Offsite treatment involves excavation and treatment and disposal of contaminated materials offsite. “Lendlease is currently completing a pilot trial on Hickson Road to test whether on site technology can be used to effectively remediate the site. If not, then it will use the offsite method,” a spokesperson for the Department said. “The remediation of this final slice of Barangaroo South paves the way to further enhancing Sydney Harbour and brings forward the development at Barangaroo creating world class open space, with more shops, offices and restaurants, and better transport links,” the spokesperson said. The Department exhibited the proposal near the end of last year and received nine submissions from government agencies and four public submissions, with one submission objecting the proposal. A University of Adelaide-led project has overturned the theory that the evolution of human intelligence was simply related to the size of the brain -- but rather linked more closely to the supply of blood to the brain. The international collaboration between Australia and South Africa showed that the human brain evolved to become not only larger, but more energetically costly and blood thirsty than previously believed. The research team calculated how blood flowing to the brain of human ancestors changed over time, using the size of two holes at the base of the skull that allow arteries to pass to the brain. The findings, published in theRoyal Society journal Open Science, allowed the researchers to track the increase in human intelligence across evolutionary time. "Brain size has increased about 350% over human evolution, but we found that blood flow to the brain increased an amazing 600%," says project leader Professor Emeritus Roger Seymour, from the University of Adelaide. "We believe this is possibly related to the brain's need to satisfy increasingly energetic connections between nerve cells that allowed the evolution of complex thinking and learning. "To allow our brain to be so intelligent, it must be constantly fed oxygen and nutrients from the blood. "The more metabolically active the brain is, the more blood it requires, so the supply arteries are larger. The holes in fossil skulls are accurate gauges of arterial size." The study was a new collaboration between the Cardiovascular Physiology team in the School of Biological Sciences at the University of Adelaide and the Brain Function Research Group and Evolutionary Studies Institute at the University of the Witwatersrand. Co-author Dr Edward Snelling, University of the Witwatersrand, says: "Ancient fossil skulls from Africa reveal holes where the arteries supplying the brain passed through. The size of these holes show how blood flow increased from three million-year-old Australopithecus to modern humans. The intensity of brain activity was, before now, believed to have been taken to the grave with our ancestors." Honours student and co-author Vanya Bosiocic had the opportunity to travel to South Africa and work with anthropologists on the oldest hominin skull collection, including the newly-discovered Homo naledi. "Throughout evolution, the advance in our brain function appears to be related to the longer time it takes for us to grow out of childhood. It is also connected to family cooperation in hunting, defending territory and looking after our young," Ms Bosiocic says. "The emergence of these traits seems to nicely follow the increase in the brain's need for blood and energy." The above is reprinted from materials provided by University of Adelaide. A new National Cancer Screening Register aimed at saving more lives through increased detection, treatment and prevention of some of the country’s biggest killers will be the focus of legislation introduced by the Turnbull Government as one its first priorities in the new Parliament. Health Minister Sussan Ley will introduce the National Cancer Screening Register Bill 2016 to establish a new national register, which will replace eight separate State and Territory cervical cancer registers and an outdated and fragmented bowel screening system. Ms Ley said the new innovative measures will ensure Australia remains a world leader in the early detection of cancers to save more lives. Ms Ley said the legislation would benefit the health of Australians through more efficient cervical and bowel screening pathways through the establishment of a national register to monitor the effectiveness, quality and safety of screening and diagnoses associated with bowel cancer and cervical cancer. “The Turnbull Government is serious about increasing cancer screening rates in the fight against cancers,” Ms Ley said. Cervical cancer claims the lives of 250 women a year despite being one of the most preventable cancers. Currently, 80 per cent of women with cervical cancer have not been screened or have not had regular screening. Changes to the National Cervical Cancer Screening Program from 1 May 2017 will introduce a more effective cervical cancer test – the human papillomavirus (HPV) test – to replace the two-yearly Pap test. Bowel cancer is the second most common cause of cancer deaths in Australia with about 4000 Australians dying each year. The expanded National Bowel Cancer Screening Program will roll out a free, at home bowel cancer screening kit to Australians aged 50 to 74 years every two years by 2020. Ms Ley said that protection of personal information in the register would be critical and it would be built in accordance with strict data security requirements and Commonwealth cybersecurity guidelines for new infrastructure. Telstra Health will be the service provider after being appointed by the Department of Health through an arms-length independent evaluation process and it will be required to comply with all legal and legislative requirements. ​The NSW Chief Health Officer’s report into the Bankstown-Lidcombe Hospital medical gas incident has found a series of tragic errors led to the failed resuscitation of two babies. One of the babies died and the other has been left with serious health issues. Dr Kerry Chant’s report was provided to the families of the two babies on Friday morning, 26 August. Each family also received the findings of an independently chaired root cause analysis (RCA) investigation that related to their babies. The two babies were born at Bankstown-Lidcombe Hospital earlier this year – one in June and the other in July. Both babies needed resuscitation after birth. Dr Chant’s report found the incorrect installation of medical gas pipes in one of Bankstown-Lidcombe Hospital’s operating theatres, followed by flawed testing and commissioning of the pipes, led to the two babies being resuscitated with nitrous oxide instead of oxygen. The report also found broader clinical and corporate governance issues at the Hospital, specifically around the project planning and risk management of the commissioning of clinical infrastructure. Australian Standard 2896-2011 sets out the procedures to be followed when certifying a medical gas installation. The report found that both South West Sydney Local Health District, of which Bankstown-Lidcombe Hospital forms a part, and BOC Ltd, the company that installed the medical gas piping, failed to comply with the standard. The General Manager of the Hospital at the time the work was commissioned and an engineer involved in the commissioning process have been suspended. Further interviews are still to be conducted as the investigations continue. “This was a catastrophic error and on behalf of NSW Health, I apologise unreservedly to both families,” Dr Chant said. Since the mistaken gas configuration was uncovered at Bankstown-Lidcombe Hospital, medical gas outlets in all NSW health facilities have been tested to confirm the gas type, with no further issues of incorrect piping of gases being identified. • The Ministry of Health conduct a further review into the governance issues surrounding the commissioning of clinical infrastructure at Bankstown-Lidcombe Hospital. • Oversight of the current disciplinary investigation transfer from South Western Sydney Local Health District to the Ministry of Health. • South Western Sydney Local Health District be put on a performance watch to ensure the RCA recommendations and any other recommendations arising from the current investigations are implemented. The death of the baby who died in July was referred to the Coroner at the time. The Chief Health Officer’s report has also since been provided to the Coroner. The Turnbull Government has reintroduced much needed media reform legislation to support the viability of Australian media organisations as they face increasing competition from less regulated services. Australians are changing the way they access media and our laws must adapt to these trends. In the digital era, our current regulations unfairly restrict Australian-based broadcast or publishing companies from optimising the scale and scope of their operations and from accessing resources, capital and management expertise available to other media operators. Domestic media operators must have the flexibility to compete and adapt in the changing media landscape. These proposed changes to the media control rules will allow businesses to configure themselves in a way that best suits their needs ensuring they can continue to play a significant role in the Australian community. The media reform package is substantially unchanged from that introduced in March this year. The package will result in major changes to the regulations governing the control and ownership of Australia's traditional media outlets and the provision of local television content in regional Australia. a person from controlling more than two of the three regulated forms of media (commercial radio, commercial television and associated newspapers) in one commercial radio licence area (the '2 out of 3 rule'). The reform package will also strengthen local content obligations on regional commercial television licensees following a change in control, such as a merger, that results in them being part of a group whose combined licence area populations reach more than 75 per cent of the Australian population. The Government is maintaining other diversity rules including the ‘5/4’ rule, the ‘one-to-a-market’ rule and the ‘two-to-a-market’ rule. The Australian Competition and Consumer Commission will retain its powers to scrutinise mergers and acquisitions and is in the process of updating its media merger guidance accordingly. The legislation has already been subjected to significant scrutiny through a comprehensive Senate Committee Inquiry conducted between March and May 2016. The reintroduced legislation has been amended to address a minor issue identified by the Committee. The Committee recommended that the legislation be passed. The Government does not support any further review of the package, noting the extensive debate this issue has undergone in recent years. Australian media companies, regional local content and jobs are at risk if these reforms are not enacted soon. It is time for action. Australia's new $5 banknote enters circulation today. Issuance is being supported by an information campaign to ensure that the Australian public is able to identify the new banknote and its security features. ‘The new $5 banknote has a range of security features that have not previously been used on an Australian banknote and that will help to keep our banknotes secure against counterfeiting into the future. New features include a world-first clear top-to-bottom window and a number of dynamic features that change as the banknote is tilted. The $5 banknote is the first in a new series and other denominations will be upgraded over coming years. Each banknote in the series will incorporate the same security features. Additionally, they will each feature a different species of Australian wattle and a native bird within a number of distinctive elements. The new $5 banknote features the Prickly Moses wattle and the Eastern Spinebill. The new series also includes a ‘tactile’ feature to help the vision-impaired community distinguish between different banknote denominations. The tactile feature on the $5 banknote is one raised bump on each of the long edges of the banknote next to the top-to-bottom window. Key design aspects of the existing series of banknotes, such as the colour, size and people portrayed on each denomination, have been maintained. This will help the public recognise the new banknotes as they come into circulation. The existing $5 banknote will be progressively withdrawn from circulation but can continue to be used as usual. All previously issued banknotes remain legal tender. It will take some time for the new banknotes to be widely circulated. Watch the CSIRO Marine Debris finalist video. The Trace Elements in Past Oceans (TEPO) project is a multidisciplinary research collaboration utilising analytical chemistry, geology, palaeontology, evolutionary biology and toxicology. The project is contributing to a step change in understanding the connections between plate tectonics, past ocean chemistry and the evolution and extinction of life on Earth. Watch the TEPO finalist video. With 260 specialists from 20 countries, including 22 Australian researchers, the FANTOM5 project is mapping the sets of genes expressed in each of our cell types. The map is being used to interpret genetic diseases and engineer new cells for therapeutic use. Watch the FANTOM5 finalist video. Malaria kills nearly half a million children each year, and the emergence of resistance to the first-line antimalarial drug, artemisinin, is looming as a major global health crisis. Professor Leann Tilley and her team have made a number of key scientific discoveries leading to insights into how artemisinin resistance may be overcome. Watch the Tilley et al finalist video. The work undertaken by Professor David Huang and his team has transformed a basic Australian research discovery into a new cancer therapy approved by the US Food and Drug Administration. Central to the achievement is the development of a novel class of targeted anticancer drug, the BH3 mimetic compounds. Watch the Huang et al finalist video. The hyperspectral imaging technology, developed by Professor Ewa Goldys and Dr Martin Gosnell, enables the colour of cells and tissues to be used as a non-invasive medical diagnostic tool. This powerful approach is easily accessible and yields translational outcomes for patients and industry. Watch the Goldys and Gosnell finalist video. Dr Michael Bowen’s research focuses on discovering and developing novel treatments for serious brain disorders. His research has established oxytocin and novel molecules that target the brain’s oxytocin system as prime candidates to fill the void left by the lack of effective treatments for alcohol-use disorders and social disorders. Watch Dr Michael Bowen's finalist video. Traditional light weight military vehicles are susceptible to battlefield damage from Improvised Explosive Devices and small arms fire. The innovative new Hawkei, developed by Thales, provides Australian soldiers with potentially life-saving protection against roadside bombs and other threats by combining several existing technologies to produce a novel design. Watch Thales Australia's finalist video. Kidney disease affects one in 10 Australians, with kidney failure increasing at six percent per annum. Recognising the urgent need for new treatment options, Professor Melissa Little and Dr Minoru Takasato have recreated human kidney tissue from stem cells, opening the door to disease modelling, drug screening, and ultimately replacement organs. Watch Kidney in a Dish's finalist video. The work of Associate Professor Sharath Sriram harnesses the functionality of materials and objects at extremely small scales. His leadership transcends science, to include team mentorship, the establishment of a $30 million research facility and national science advocacy for early- and mid-career researchers. Watch Associate Professor Sriram's finalist video. Professor Gordon Wallace is an internationally renowned researcher in the field of electromaterials science and has cultivated a research vision in the area of ‘intelligent polymers’. Through his leadership and ability to inspire, his collaborative team has pioneered the use of nanotechnology and additive fabrication in renewable energy and medical science. Watch Professor Wallace's finalist video. Professor Patricia Davidson is highly regarded amongst her peers and mentees for her generous nature and strong commitment to the development of early- and mid-career researchers. She creates an inclusive and safe learning environment for researchers to develop as scholars, and has continued to mentor and work collaboratively with many of her students once they have established their own research careers. Watch Professor Davidson's finalist video. Fireballs in the Sky is an innovative Australian citizen science program that connects the public with the research of the Desert Fireball Network. This research aims to understand the early workings of the solar system, and Fireballs in the Sky invites people around the world to learn about this science, contributing fireball sightings via a user-friendly app. To date, more than 23,000 people have downloaded the app world-wide and participated in planetary science. Watch Fireballs in the Sky's finalist video. Dr Lisa Harvey-Smith is a black hole hunter and a dynamic communicator bringing astronomy and its real-world impacts to life. It is the strong engagement that Dr Harvey-Smith fosters with schools, institutions and her public audience, particularly girls and indigenous students, which sets her outreach apart. Watch Dr Harvey's Smith's finalist video. Uranium – Twisting the Dragon’s Tail is an Australian made series, an epic journey through nine countries and more than a century of stories, to discover the element that shaped the modern world. Join physicist Dr Derek Muller as he reveals the story of the most wondrous and terrifying rock on Earth. Watch Fimeri, Pemberton, Muller and Westh's finalist video. Hayden was inspired to create his film after discovering a glaucus atlanticus on the beach, and wondering what it was and what it ate. In The Bluebottle and the Glaucus, Hayden uses some of his own underwater footage to share his love and experience of the ocean with the viewer. Watch The Bluebottle and the Glaucus. Seeing Red tests the theory that wearing red might give a competitive edge. In the film, Rosanna and Elli explain how the eyes and brain work together to see colour and take to their local swimming pool with red-lensed goggles to test out their hypothesis. Owl Pellets: A Postal System to Scientists is an investigation of the Barn Owl’s adaptations, features and the formation of owl pellets. Claire and Anna explain how these owl pellets are used by scientists to gather data for conservation efforts, animal population studies and ecosystem monitoring. Watch Owl Pellets: A Postal System to Scientists. In No Place for Race, Year 11, Tom and Harry explore how and where our ape-like ancestors developed into one species – Homo sapiens – through creation myths, fossils, dating methods, evolution and the migration of hominids. They also explain why the concept of race is irrelevant. Watch No Place for Race. Taking inspiration from the old wives’ tale ‘You’ll catch your death of cold’, Meg’s film Sniffles, explains why we have created such a strong association with catching a cold, and being cold. 31 August 2016: Media Release – Hon. Christian Porter Minister for Social Services. In the National Disability Insurance Scheme’s first month of transition from trial to full scheme, the NDIA experienced difficulty in implementing the new NDIS MyPlace payment portal. As a result there were disruptions and delays in payments being made to a group of providers and participants through the payment portal. I have been working closely with the NDIA, and now the successful payments to providers and participants have increased from around 70 per cent to a 96 per cent success rate. Once satisfied the main technical issues had been addressed, the Assistant Minister for Social Services and Disability Services and I ordered an urgent independent review into the MyPlace portal. This review began on 5 August and is expected to be completed and provided to me shortly. Based on initial advice from PwC, as well as a short-lived technical issue experienced by bulk service providers, there was also an issue around the adequacy of information provided to users of the payment portal which led to errors in inputting necessary information. That situation is improving rapidly and significantly. While the NDIA diverted resources to resolve the early IT issues as quickly as possible, there was a flow on effect of a slowdown in the rate of plan approvals for the large number of people deemed eligible for the scheme. Currently more than 15,000 people have been deemed eligible for the scheme since 1 July 2016, which is more than 78 per cent of the bilateral target for the first quarter of transition. More than 5,000 of those people have commenced the planning process or had their plan approved. • Establish stronger information sharing arrangements between the NDIA, DSS and DHS. In cooperation with the Minister for Human Services, we have also ensured more than 100 additional staff from the Departments of Social Services and Human Services have been provided to the NDIA to implement these actions. Importantly, any provider who has had difficulty since 1 July has been subject to individual attention from the NDIA and the number of providers and individuals who are still experiencing problems has reduced significantly. I expect the final report from PwC shortly, and I will be making a statement about that in due course following consultations with my state and territory colleagues on the Disability Reform Council. If there are specific recommendations from the report that the NDIA needs to implement, it has my full support to do that. Experience a husky sledding adventure in 360°. The Earth Unplugged team visited Svalbard, a Norwegian archipelago between mainland Norway and the North Pole. One of the world’s northernmost inhabited areas.